For my work with Henry Coombes I have created a video that focuses on the sound of the process I went through to create my sculpture. For the work we were using plaster, wood, scrim, paper and PVA glue. This meant there was a rich diversity of sounds such as water, the rough scrap of the dry scrim and the crunch of dried plaster. 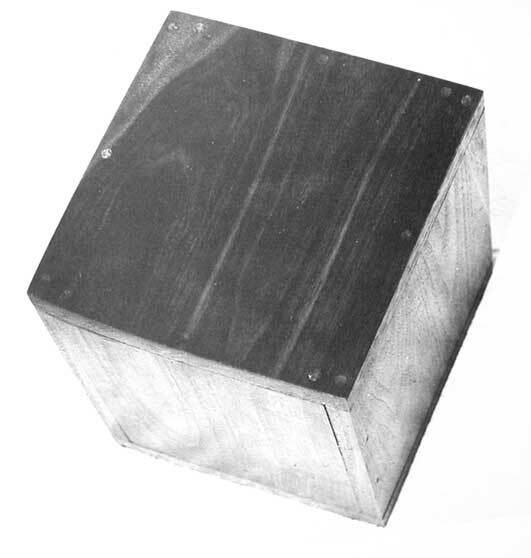 Robert Morris created a work which consisted of a walnut box and speaker playing a three and a half hour long tape of the sounds of the box being made, as if the box was retelling the story of its creation. This idea is a really interesting one as a means of making of sculpture more interactive to the viewer and highlighting the importance of process in a work, not just the final outcome.